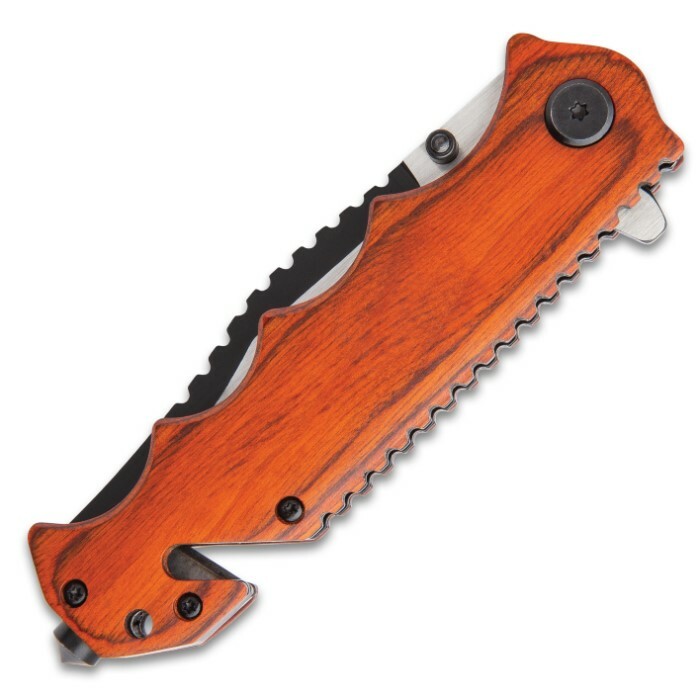 Brownwood Assisted Opening Pocket Knife - Black 3Cr13 Stainless Steel Blade, Pakkawood Handle Scales, Seatbelt Cutter, Glass Breaker | BUDK.com - Knives & Swords At The Lowest Prices! 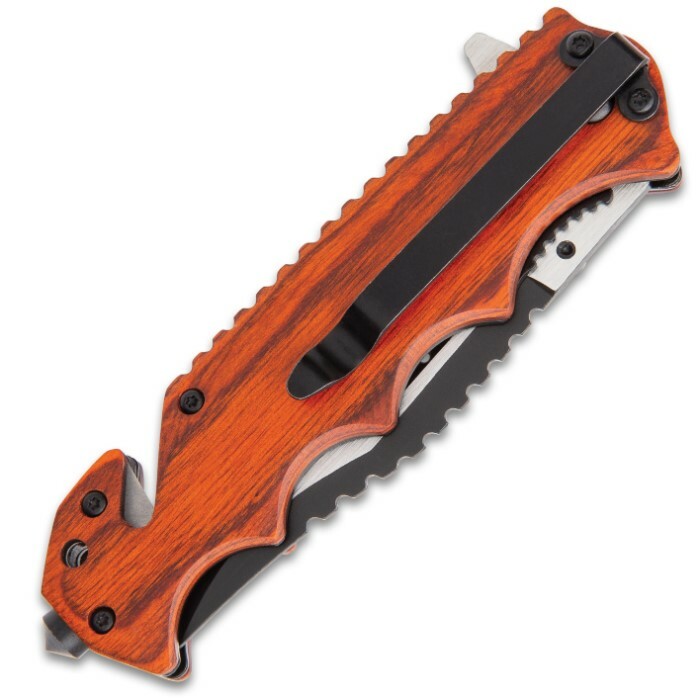 The Brownwood Assisted Opening Pocket Knife is an everyday carry knife that fits snugly in your pocket and performs any cutting task with precision. 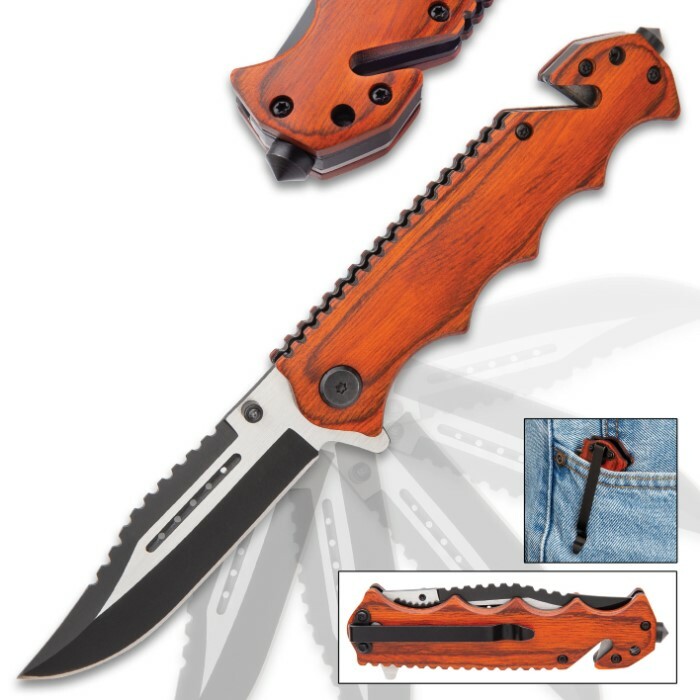 It has a razor-sharp 3Cr13 stainless steel blade with a two-toned black and satin finish and notching along the spine. 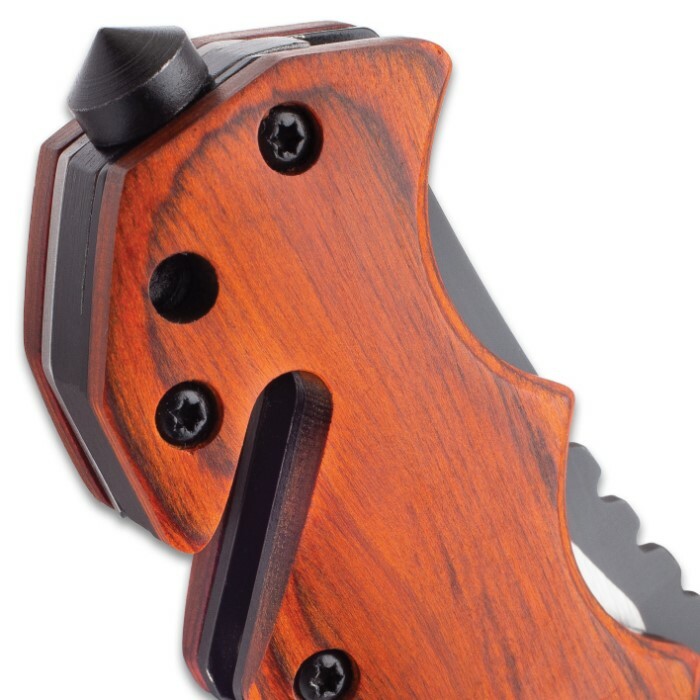 The blade can be smoothly accessed using either the flipper or thumbstud to activate the assisted opening mechanism. 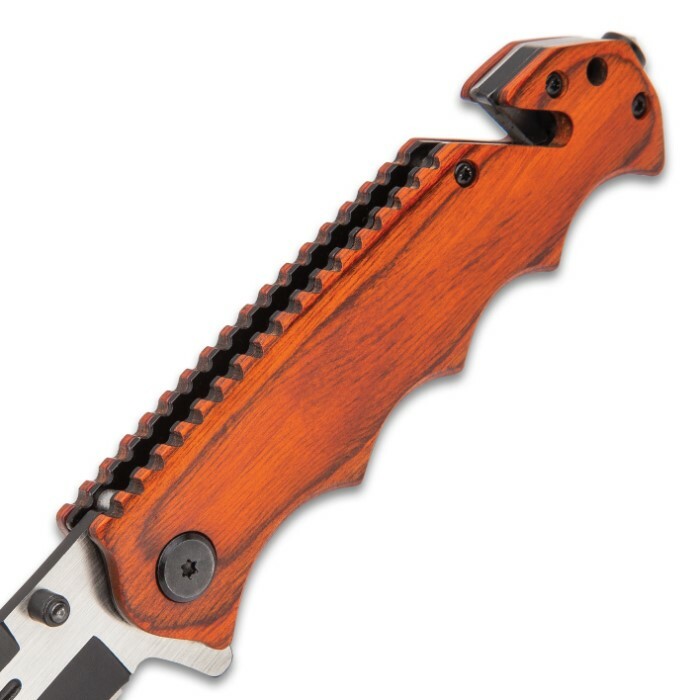 The pakkawood handle scales are secured with black screws and the handle has notching to match the blade’s spine. 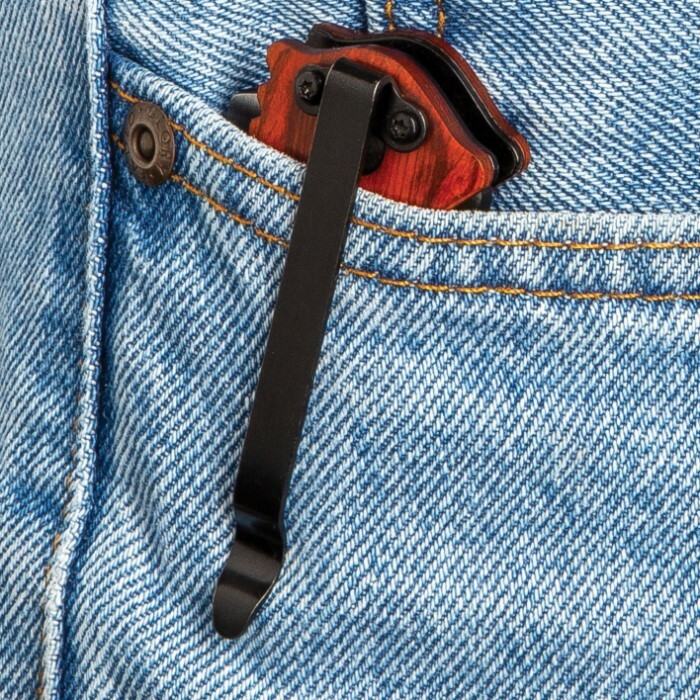 The pocket knife is 4 3/4” when closed and features a seatbelt cutter, glass breaker and a metal deep carry pocket clip. Good for the price. Blade is nice and sturdy, flipper is the best way to open it, handle is lightweight. Comes so-so sharp out of the box. Belt cutter effective. Only complaint is glass-breaker is a bit weakly attached.